Bon Chef has been dedicated to manufacturing and supplying the most durable products available to the food service industry. Bon Chef gaucho steak knife. Made of solid stainless steel. Comes with 5-inches pointed tip blade. 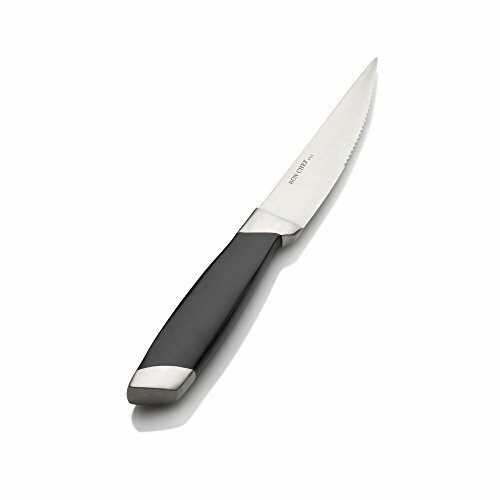 Stainless steel polypropylene handle. If you have any questions about this product by Bon Chef, contact us by completing and submitting the form below. If you are looking for a specif part number, please include it with your message. CUTCO Model 1864 set of four White (Pearl) #1759 Table Knives plus #1745 tray........................Knives have 3.4" Double-D® serrated edge blades and 5" handles.............Knives are in factory sealed plastic bags.